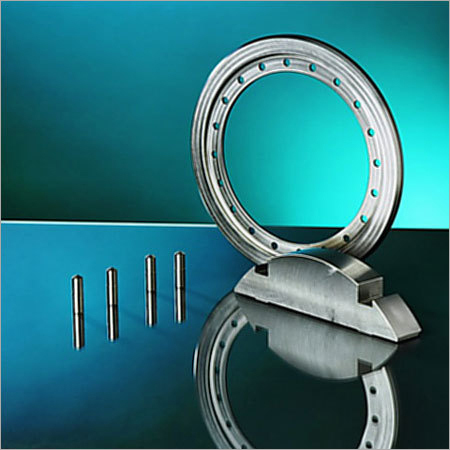 For the purpose of balancing weight, counterweight is introduced and produced mostly of tungsten alloy. In the aerospace industry, counterweight is an important part in helicopter, satellite, spacecrafts and avionics. It is installed in the aircraft engine, propeller systems, rotor blades, gyroscopic controls or flight control joysticks. The higher density of tungsten alloy allows the use of smaller components and thus reduces the overall weight of the system. This material is used for aerospace as it meets the requirements for corrosion resistance, low thermal expansion, fatigue properties and creep resistance. The clients looking for tungsten counterweight for aerospace can contact us any time. One of our representative will respond to all your queries. We ensure nice quality packaging and timely delivery. Our offering products are always very reliable.